Medical Marijuana is prescribed to patients who are suffering from chronic pain, cancer, Alzheimer’s disease, glaucoma, and other medical conditions. Even if you have a Medical Marijuana card that was issued by your state, it is highly advised that you do not travel with any amount of Medical Marijuana in your possession. Currently, 29 out of the 50 states have some sort of legalized form of Marijuana but that means that 21 states do not. If you have a Medical Marijuana card it is only valid for that state. It is not valid for any other state. Regardless, Marijuana is still technically illegal under Federal United States Law even if it has been legalized in your state. Interstate travel is considered a federal jurisdiction so if you drive to another state while in possession of Medical Marijuana and get pulled over for an unrelated charge – you could be arrested for Marijuana possession, even if you have your card and show it to the officer. If you live in a state where Medical Marijuana is legal, you cannot get on an airplane with it even if you are travelling between airports within your own state (for example from Los Angeles to San Diego). The airports are regulated by the Transportation Security Administration (TSA) which is an arm of the federal government. If you are caught by the TSA with any form of Marijuana, even if you have your Medical Marijuana card, you will be arrested for possession of Marijuana. Our advice is that if you plan on traveling, do not bring Medical Marijuana with you. If you need Medical Marijuana to live, then perhaps traveling isn’t the best option for you to begin with. Hawaii just announced that it will be honoring other state’s Medical Marijuana cards at their dispensaries. So if you must travel – go to Hawaii. There is a constant influx of information about marijuana recently, especially as the elder law governing its use are being loosened around the country. Most of these studies seek to determine marijuana’s effect on younger minds. Cognition is a word we use all the time, but how many of us could accurately define it? Cognition is the collection of all the processes we use to procure knowledge in conjunction with how we understand by thinking or experiencing various stimuli. Because we have cognition, we can perceive or sense, and even use intuition to acquire knowledge. When experts say that marijuana reduces mental cognition, it means that our ability to think, understand, or learn isn’t what it should be. So does marijuana actually reduce cognition? If you ask users, then sure it does. Although marijuana affects people differently (and specific pot strains make a big difference! ), many users indicate increased cognition due to use. Their capacity for creativity is greatly increased, and suddenly everything just makes sense. All of life’s mysteries are finally answered. If only. The science is much less certain. According to a recent study published in the Journal of Clinical Psychiatry, adolescents who take marijuana routinely but then stop will notice their capacity for learning and memory heightened. The scientific body of evidence that marijuana hinders growth in the mind of the adolescent is nigh incontrovertible. The study used 88 smokers to conduct its research. Some of the users smoked as often as every day or as little as once a week. This is especially concerning because, according to the National Institutes of Health, almost fifteen percent of students in middle school and high school use marijuana at least once a month. The number of children who believe marijuana is a health risk has declined in the last two decades, and it probably doesn’t help that legalization has opened the floodgates of misinformation. THC in general is known to primarily affect brain functions that develop during the teenage years. This development commonly continues until the early twenties. There’s nothing wrong with recreational or medical marijuana–but it is important to have all the information about the drug before one makes the decision whether or not to partake, and children seem especially vulnerable to both the drug’s effects and the social forces which help govern its use. Cannabis is a plant that is mostly known for its use as the drug marijuana. However, Cannabis has been used by humans for thousands of years before it turned into a recreational drug. The first known use of cannabis dates all the way back to ancient times as far back as 8,000 BCE. In what is now modern-day Taiwan, hemp cord was found in pottery. Discovering hemp being used this early in civilization can be used as an argument for the cannabis plant is one of the first agricultural crops. From 6,000 BCE to 4,000 BCE records show that Cannabis seeds were used in food in China and hemp were being used as textiles. Medical marijuana is also not a new concept. As early as 2,737 BCE, Emperor Shen Neng of China recorded the first use of cannabis as a medicine. Also during this time in the Ancient Hindu texts, Bhang (dried cannabis leaves, stems, and seeds) is mentioned as a form of medicine and offering to the divine figure Shiva. In 500 BCE, we see the cannabis plant spreading throughout the world making appearances in Russia and Europe by a nomadic tribe called the Scythians from Siberia. Herodotus in his The Histories written in 430 BC writes how Cannabis was introduced by the Sycthians. Cannabis plants were still being used as a medicine and hemp was still being used as a textile and to make rope. And around 100 BCE, hemp paper was being produced in China. The first instance of cannabis as a drug or psychotropic came between 100 – 0 BCE in China from Pen Ts’ao Ching. Once we enter the common era, cannabis is mentioned much frequently in written texts about its medical and drug properties. Pliny the Elder’s The Natural History mentions marijuana’s analgesic effects around 23 CE. Plutarch mentions how the Thracians are using marijuana has an intoxicant in 47 CE. Discorides listed marijuana in his book Pharmacopoeia in 70CE. The Greek physician Galen prescribes marijuana in 130 CE. Around 1000 CE, hashish or cannabis resin grows in popularity throughout Asia as an edible. Meanwhile during this time hemp rope was making its way through Europe and up to the Vikings in Iceland and onto Italian Ships in Italy. And while this is just from 10,000 BCE to 1,000 CE the use of cannabis grows tremendously. For more information, we encourage you to visit our website. Legalizing marijuana has become a major political issue in many states. In fact, a lot of states have already begun to legalize marijuana. However, there are arguments against legalizing it. After talking with NJ Employment Attorneys, there are several reasons as to why the federal legalization of marijuana can be dangerous. 1. Increased Use Among Adolescents. While there are no inherent studies that indicate legalizing the drug will lead to more widespread usage, that is likely due to the fact that the drug is already heavily used among adolescents, to begin with. In fact, more teens now smoke marijuana than they smoke traditional cigarettes. Because of this, legalizing it can only lead to increased usage due to the drug being easier to obtain. Making marijuana legal would essentially provide much easier access to teenagers which is likely to increase the use among the group as a whole. 2. Negative Effects On Brain Development. One of the major issues associated with legalizing pot stems from the changes that it causes in the user’s brain. While in full-grown adults, this change is temporary, for those that are still in their growth stages, this change could be permanent. 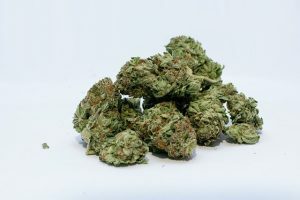 There are still additional studies being done to fully grasp the long-term effects on the brain in adolescents, but there are initial results that have shown that marijuana abusers experience significantly decreased dopamine in the brain . While many proponents of the legalization of marijuana continue to spew the false narrative that marijuana is not addictive, the facts dispute them entirely. The brain regularly adapts to any sort of drug. Thus, it does so with marijuana as well. Because of the neural adjustments that occur when someone smokes marijuana regularly, it can lead to tolerance of the said drug. Along with tolerance comes both craving and dependence on the drug. Thus, someone can become addicted to THC and marijuana. There is a lot of evidence that supports that heavy marijuana use can be associated with an increased risk of mental issues such as developing psychosis. Overall, there are a lot of different consequences that you can expect with the legalization of pot. While there are benefits that have to be considered, the legalization of the drug does not come without its own share of consequences. These consequences must be fully understood in order to weigh the risk and reward associated with it. A lot of the risks associated with the legalization of the drug are health-related risks. Whereas, a lot of the benefits of legalizing it are economic. However, there is also growing evidence that the states that have legalized it thus far have experienced a significant drop in opioid dependence and use . The subject of legal marijuana is expected to continue to be a hot topic among political parties and the public continues to weigh in on the subject. Ultimately, if you want to fully weigh in on the topic, you will want to do so on your state’s ballot. Representative Matt Gaetz (R-FL) and 40 bipartisan cosponsors are scheduled to vote on the Medical Cannabis Research Act, a bill that will create more opportunities for medical marijuana benefits. The act would issue more licenses for marijuana growth that would be used in scientific studies. For the past 50 years, a small farm at the University of Mississippi has been the only legal way of getting cannabis for scientific research. Researches have been complaining that the University only has a small amount and it is low quality compared to some of the other strands that are being used illegally. Gaetz is supporting this bill because he feels that the federal government should not interfere with the prospect of people living better lives. He continues to state that the bill will increase the availability of research-grade cannabis in the effort to find more cures for diseases (read our recent post about Marijuana and Parkison’s here). While this a bipartisan bill, this is the first time that there’s been a push for marijuana reform during a Republican Congress. Drug reform advocates do have some issues with the bill but Gaetz calls these things technical and doesn’t expect much pushback. Reformers have concerns with provisions such as people with “a conviction of a felony or drug-related misdemeanor” are not allowed to participate in research. Also, they do not like the clause that says newly licenses manufacturers have to get a letter of good standing from their local law enforcement. While on the surface this might seem harmless, civil rights and social justice activists marijuana charges are disproportionately against African Americans and other people of color. Therefore, this bill prohibits racial equality when it comes to marijuana research. But Gaetz believes without these inclusions GOP lawmakers would not be on board with the bill. However, those on the opposing side are worried that if the Act passes Attorney General Sessions would be responsible for handing out these new licenses. He already has blocked the new permits filed during the Obama Administration. One important aspect of the bill to note is that the legislation allows for the Department of Veteran Affairs doctors are invited to join in the scientific research to see how medical marijuana can be used in the military. How Does Marijuana Impact Parkinson’s? Is Mary Jane the hottest girl at the party just by reputation, and not by actual looks? She has certainly become the belle of the ball in the medical and therapeutic world. She comes in as the savior to all that ails us, making her eye candy for many. Perhaps she might just have a nice personality. Much has been made in the last 20 years about the therapeutic effects of marijuana and its ability to treat many diseases. The hysteria and hype has grown to the point what although it is a federal crime to possess and use it, 60 percent of the U.S. has passed state laws allowing for marijuana use for medical and medicinal purposes. Much has been made about marijuana in its use as a treatment for neurological disorders, including Parkinson’s. Anecdotal stories emerged that marijuana has been effective in reducing the noted tremors which are the hallmark sign of Parkinson’s. It was supposed to be so encouraging, that marijuana was a wonder drug for so many ailments. 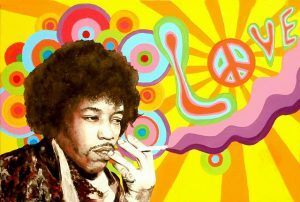 However, it seems that much of the hype was covered in a cannabis cloud, so to speak. Some clinical research has been conducted to gauge the effectiveness of cannabis (marijuana) in the wake of these anecdotes. It turns out that after all the research and the smoke had cleared (pun intended), marijuana was found to have inconclusive effect on the symptoms of Parkinson’s. While marijuana directly impacts the brain in the area thinking and some motor skills are centered – this is where there are cannabinoid receptors, which receive cannabinoid molecules such as from cannabis – there was a belief that some of those motor functions that are hindered or are involuntary because of Parkinson’s, would be relieved when cannabis was actually introduced into the system. What is official is that there is no unified theory about cannabis and Parkinson’s because the data does not show a consistent trend, and cannabis is difficult to study because of conflicting chemicals and their reactions to the cannabinoid receptors known as CB1 and CB2. The difficulty in establishing clear results is that cannabis has conflicting chemicals knowns as agonists and antagonists – and each plant species and each form of administering the cannabis develops different numbers of the agonists and antagonists to where there is no control available – making the data sketchy and hard to quantify. This is not to suggest that the anecdotes are illegitimate, or that cannabis is completely ineffective – it is just that the generalized data isn’t conclusive one way or another, which means there is enough doubt that medical professionals may not have any credence to prescribing marijuana as a treatment for Parkinson’s symptoms. Is It Possible To Buy Recreational Marijuana With A Credit Card? If you use marijuana recreationally, you may not want to have to scrounge up cash every time you want to buy some weed. You may be wondering if it’s possible to buy your marijuana with a credit card. Your payment options will vary based on a number of factors. 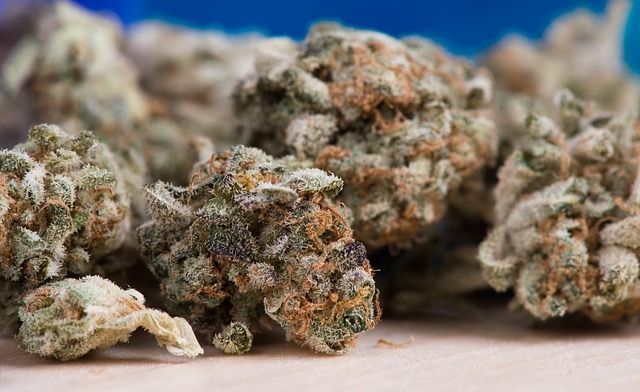 Here’s how you can figure out whether or not you can use a credit card to pay for your weed. If weed is legal in your state, you should be able to buy the marijuana you want with a credit or debit card. Most places that sell marijuana will accept a credit card as a valid form of payment. With that said, you’ll need to make sure that recreational weed is legal in your state. If your laws only allow for the purchase of medical marijuana, you probably won’t be able to purchase marijuana with cash or a credit card. Is Withdrawing Cash Using Your Credit Card An Option? If you are buying marijuana illegally, and you want to use cash, you do have the option of withdrawing some money using your credit card. It’s common for credit card companies to allow you to withdraw a small amount of cash from ATMs. With that said, obtaining cash in this way isn’t something that is recommended. If you do withdraw cash from your credit card, you’ll have to pay interest on the cash you take out. You’ll also have to pay ATM fees. You’ll wind up spending a lot more if you obtain cash in this way. If recreational marijuana is illegal in your state, you may want to avoid purchasing it, even if you want to use it recreationally, regardless of whether or not you pay with a credit card. Take a close look at your local laws. Is marijuana decriminalized in your state, or are you facing fines and other penalties for purchasing marijuana? Make sure you know what the laws in your state are so that you can avoid running afoul of those laws. Being familiar with the laws in your state can save you a lot of problems. It is possible to buy recreational marijuana with a credit card. With that said, this isn’t going to be an option for all people. Look at the laws in your state and figure out what sort of options you have. You can decide what to do from there. Can An Employer Fire You For Using Medical Marijuana? Can you be fired for using medical marijuana considering it can cause a birth injury New York? The answer is yes, according to most states even though they allow medical marijuana use. You can be fired for failing a drug test at your workplace while using medical marijuana, even if you have proof that you are a registered patient who is legally allowed to do so. 47 states in the U.S. allow some form of medical marijuana use but only a handful of these have passed laws to protect the rights of users to legally use the drug without fear of penalties at work, school, or anywhere else in their lives. However, marijuana use remains illegal under federal law and there is no duty to accommodate its use which results in court decisions in many states weighing heavily in favor of employers. Despite almost unanimous support for medical use of marijuana, only 9 states protect users from getting fired. New York, Arizona, Delaware, Maine, and Connecticut have passed laws that protect employees from being fired for medical marijuana use unless it can be proved that they were impaired on the job. If you live in these states and you have a legal prescription for medical use of marijuana, an employer is restricted from firing you if it does not affect your work and it is only used off-duty. Gary Ross from California who worked at Raging Wire Telecommunications was fired in 2001 when he failed a drug test. On the recommendation of his doctor, Gary was treating his debilitating back pain with medical marijuana which is legal for medical as well as recreational use in California. In 2008 a California judge found his firing was legal. Although he was exempted from criminal prosecution, the state’s medical marijuana laws could not protect him from being fired. In contrast, Cristina Barbuto from Massachusetts was offered a position at Advantage Sales and Marketing. She told them that she had a written certification to use medical marijuana for Crohn’s disease which would likely cause her to fail a drug test. When she did fail the test, the company fired her. In contrast to the similar case of Gary Ross in California, when she sued for discrimination on the basis of her disability, the Massachusetts court found her firing to be unlawful and waived the company’s drug policy. Although the use of medical marijuana is legal in both California and Massachusetts, the outcome for Cristina was different because the Medical Marijuana Act in Massachusetts protects people with debilitating medical conditions from prosecution, arrest, and penalties. Although the majority of states believe that people should be allowed the right to medicate with marijuana, legalizing its use without protecting the rights of patients frustrates the intent of voters and the law, as well as the growing market for medical marijuana.